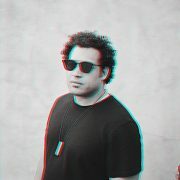 Makaya McCraven and his band will be playing 2 sets @ SOMF’19! His recent releases, the DJ-style mixtape Highly Rare (IARC, 2017) as well as an internationally recorded Where We Come From (CHICAGOxLONDON Mixtape) (IARC, 2018) have been well received globally, leading to increased bookings in some of the world’s best clubs, theaters, and festivals alongside the likes of Corey Wilkes, Bobby (Baabe) Irving (Miles Davis), Ari Brown, and Bernie Worrell. McCraven is currently on tour and most recently released Universal Beings, a 2xLP album featuring an A-list of “new” jazz players from New York, Chicago, London & Los Angeles.